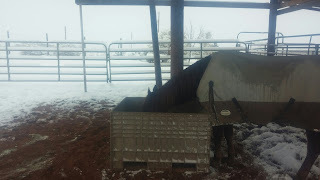 We're pretty lucky here in the Tularosa Basin as it is a rare winter, and really only short parts of it, that provides a challenge to managing our horses. Mostly it's keeping water lines from freezing and ensuring the horses have free access to fresh water, but that's not the only thing they need. If you keep horses stabled in the winter and you are subject to bad weather, or just weather too cold for you to ride in, it is easy to over look the exercise needs of your horses. It isn't just about physical exercise, either,....horses that don't get ridden, turned out or even exercised on a line or a walker are more susceptible to mental issues. We all know that horses get fearful, and I think they get depressed as well and there's nothing like being confined for long periods of time to create that. I see too many horses spending virtually their entire lives in small pens and that saddens me greatly. If you happen to be one of these owners, then please take a moment to look at your horse's life from their perspective. Maybe being too cold to saddle up and ride out is a blessing as it can creates short blocks of time where we can pull a horse and do some ground work: Backing off a slight feel or vibration in the lead line; coming to you with a slight tension in the lead; getting your horse to side up over to you like you are on a platform and want to mount; sending your horse in a straight line; sending him into the trailer; doing half circles with forward momentum; turning a horse who is okay about having his feet handled into a horse that is very good about his feet; sacking him out on a flag, or a tarp or really anything that he may be fearful of; and the list of things you can do in short sessions just goes on. If you do ride or exercise your horse then remember that he still needs an adequate period of cooling off before you give him access to feed and water. I know some of you are looking at national weather reports and thinking that "Boy, those folks in the desert Southwest have it easy with relatively high temps" and you would be right, and we are grateful for not breaking ice everyday. This week's national weather map showing 15 degrees in Minnesota and 7 degrees in Southern Idaho making West Texas at 34 degrees this morning seem pretty tropical, but you add in a 20 mph wind and the wind chill factor makes it 24 degrees. Sometimes that wind just cuts through to the bone. So consequently a wind break for the horses, such as a three sided shelter, will help keep your horses warmer and more blood in their system going to the digestive tract rather than the legs and neck to warm them helps lessen the threat of colic. I not big blanketing fan, but don't hesitate to using the appropriate blanket when the temps or weather conditions warrant this. I get sent a lot of questions asking for guidelines, but the horse's age and overall health have a lot to do with a decision to blanket, so that question is hard to answer. All I can say is that on my thin haired horses, I'll blanket when the temps are in the high 20's, sometimes the low 30's, most of the time. I have an enclosed 18' x 14' brood mare stall, which doubles for a hospital stall as well for any horse recovering from an injury or illness that necessitates that. I have to be careful to ensure the accumulated ammonia from horse urine and the dust isn't a health hazard. I have a wide vent all the way around the top of the brood mare stall to help with the ventilation and therefore the horse's respiratory health. 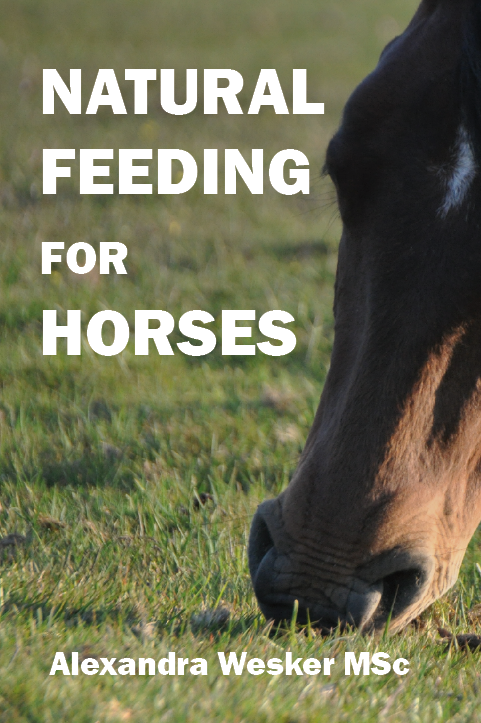 The winter months can actually increase feed requirements as your horse burns more calories to stay warm. We usually throw extra grass during the cold winter days to keep the horses gut moving and give them something to do to reduce boredom. So just a reminder to be conscious on your horse's body condition in case he starts dropping weight. Most people reading this hopefully know better and this serves either as a reminder or to just take up space. Besides already knowing something has never kept my wife from telling me again,.....and again. Hope everyone' post Christmas is peaceful and blessed.